April has been a difficult month. My Dad died unexpectedly on April 2nd so my creativeness has used been in other areas, planning a funeral; creating and service sheet and writing a eulogy. It was hard to know what to do at first, but then the ideas began to flow and we created a service to reflect my Dad’s interests and personality, which worked very well. I decided to stitch a pattern for the front of Dad’s funeral service sheet, the finished stitching was then scanned and printed on to the front of the service sheet. My Mum has the original stitching. I used a Dandelion pattern from Stitching Cards. It is an image that I like and my Dad was always fascinated by patterns. Below is the scanned version and the front of the service sheet. 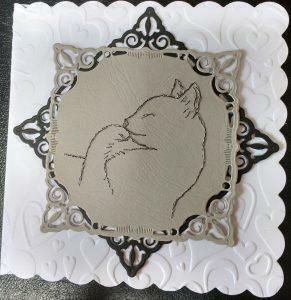 I also love patterns and the effects created by them, I think that is why the stitched cards appeal to me. My Mum’s birthday was a couple of weeks after my Dad died and in the period between his death and the funeral so it was hard to celebrate, but we took my Mum out and remembered my Dad too. I made the cat card below for my Mum. I think it was from CraftsUPrint but I cant find it again I think it has been withdrawn as there were no patterns by the designer. I have searched for the designer and it doesn’t come up anywhere else it is Carol Lepard and its dated 2008. This beautiful Puffin is from Stitching cards, it was quick and easy to do and the recipient loved it, so nice to get feedback on my makes. My Dad’s birthday is at the end of May so that will be a hard time for us and then in June we have Father’s Day, this year it is the two days after my birthday. 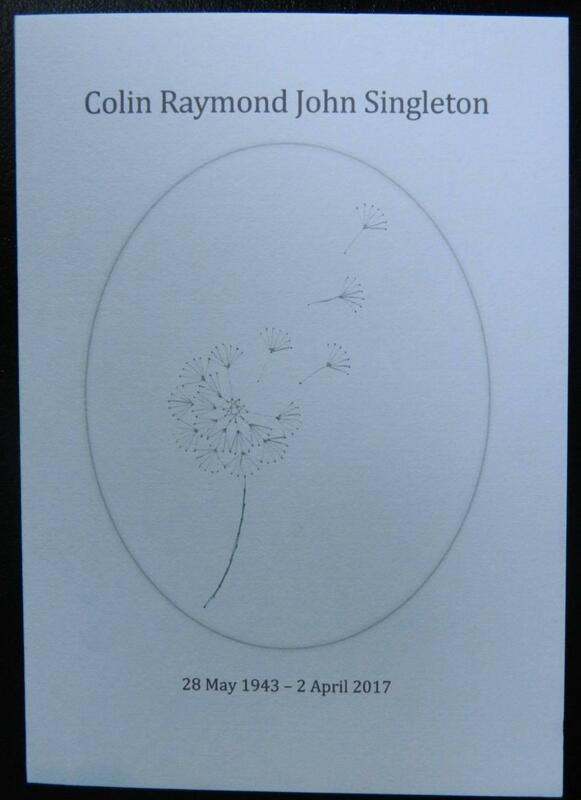 Last night I won a competition at Liv & Sew: Memorial Textile Artist to have a memorial heart made for my Dad. 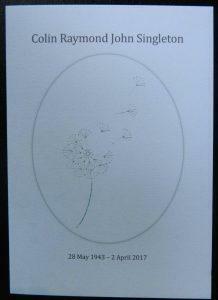 We visited a lovely exhibition of her work the day before my Dad died. I am looking forward to planning the heart with Liv.